As spring break finally comes to close, UW-Stout students return to Menomonie after a week of vacationing, sleeping in, and questionable choices, ready to return to the hustle and bustle of the finishing weeks of the semester close in. For many students on campus, however, this means the start of the semester. Seniors on campus return from spring break and arrive to the library in droves, ready to check out their semester’s textbooks and achieve the sought-after passing grade. “I didn’t even know we had textbooks,” mentioned another senior. 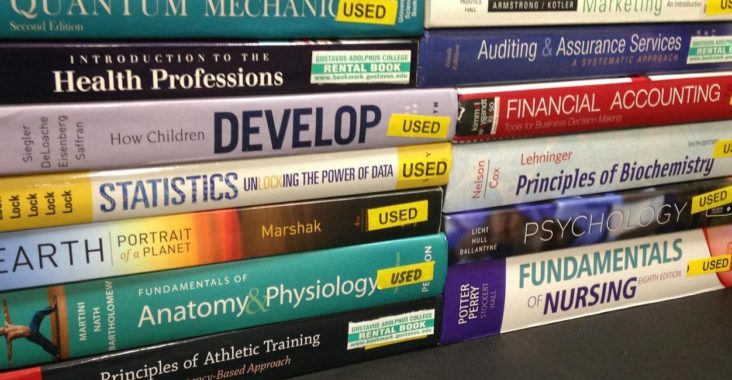 The realization that something is missing [textbooks] from their semester usually affects all seniors, but the definitive oh crap moment tends to vary from student to student. While forgetting textbooks for over half of a semester may make passing their classes seem bleak, UW-Stout seniors tend to view it as rite of passage, a sign of the end of their college times, ready to begin the next step in their lives. The true reason why this happens may have no explanation, but the signs show this phenomenon isn’t going anywhere, anytime soon.